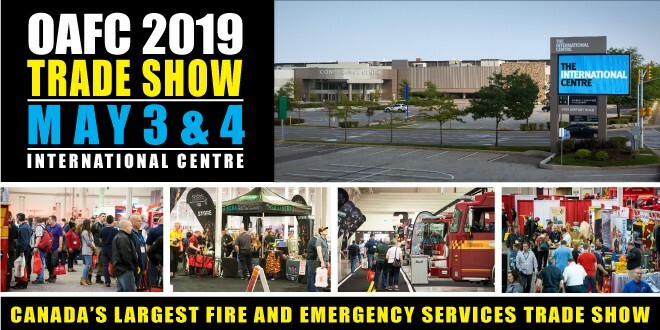 The OAFC 2019 Trade Show is the must-attend exhibition for the fire service in Canada. Attendees will be able to find everything they need within the 250 booths and fire vehicles being showcased in over 170,000 square feet of dedicated trade show space. This is where you can get on-the-spot answers to all your questions from company experts. Get your fire department purchasing done in record time, and take advantage of promotions and specials offered by exhibitors. Commercial-grade drones — Unmanned Aerial Vehicles (UAVs) — are increasingly relied upon by Fire Departments and other Public Safety organizations as reliable tools for enhancing emergency response and post-event assessment. In challenging situations, drones can provide unique viewpoints and collect data not easily obtained by humans, greatly improving situational awareness and responsiveness. Drones equipped with video and infrared cameras are highly useful in assessing fire damage, providing insight into critical incidents, monitoring natural disasters such as wildfires or flooding, conducting search and rescue operations, and more. Thermal imaging is particularly useful when smoke is obscuring visibility. As the premier provider of UAV solutions in North America, Gap Wireless has a unique vantage-point on drones in Public Safety. Gap Wireless partners with industry-leading vendors such as DJI Enterprise, FLIR, DeDrone, Propeller Aero, and inUAVi to deliver drones, sensors, software, and support to cost-effectively fulfill your UAV needs.